← Home-Made Christmas Gifts and Fresh Cream Chocolate Truffles! 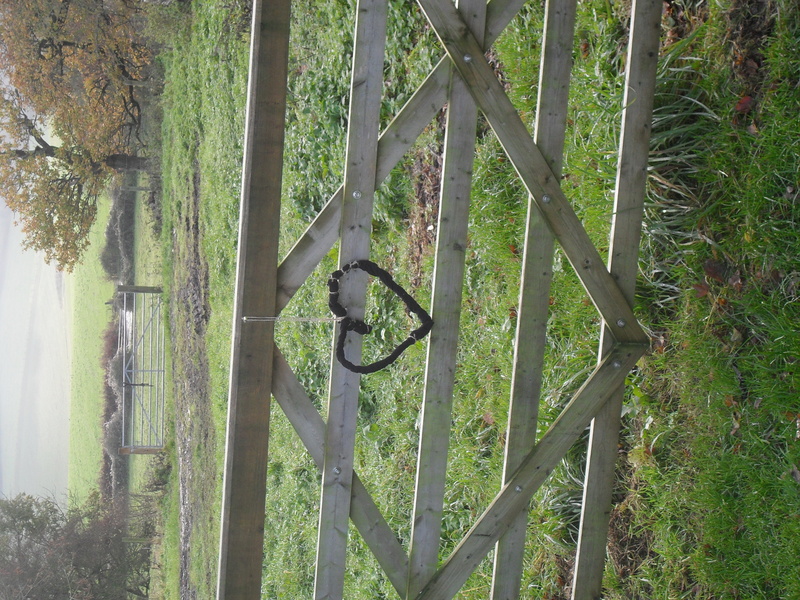 For something a little different this Christmas why not make a heart-shaped wreath. I’ve used dried rose heads but you could substitute these for sprouts, dried fruit, holly and mistletoe or anything else you had readily available. 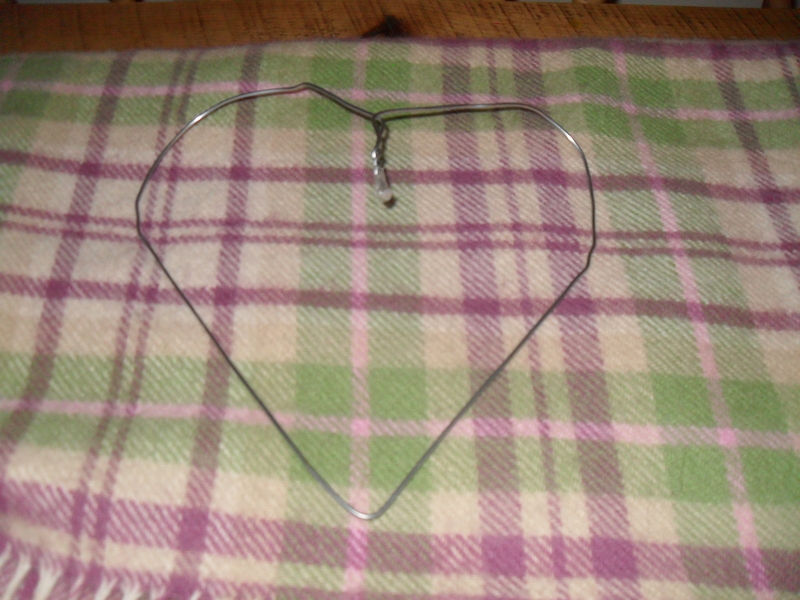 Take the metal coat hanger and bend into a heart shape, cutting off the hanger section with pliers. Wrap a pair of old black tights around the coat hanger and secure to the wire frame with garden twine. In the centre of the wreath, take a strand of ribbon and tie in a loop, so you have something to suspend the wreath from. Finally, take your rose-heads and secure to the frame with the green garden wire. 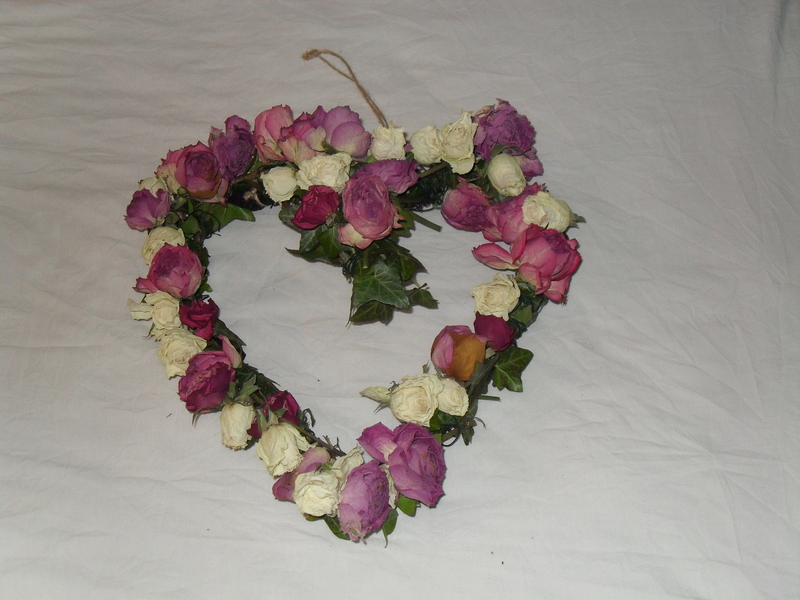 This would make an excellent Valentine’s present if you used red roses instead of pink and white. I bought my roses over a 5 week period from Sainsbury‘s, selecting their cheapest roses at £2:99 and occasionally buying their more expensive version at £4:99. In total I spent £18:75 on roses, however, if you made this in the summer, with roses from your garden, the cost would be greatly reduced. If time is limited, Not on the High Street, have a great selection of christmas wreaths. 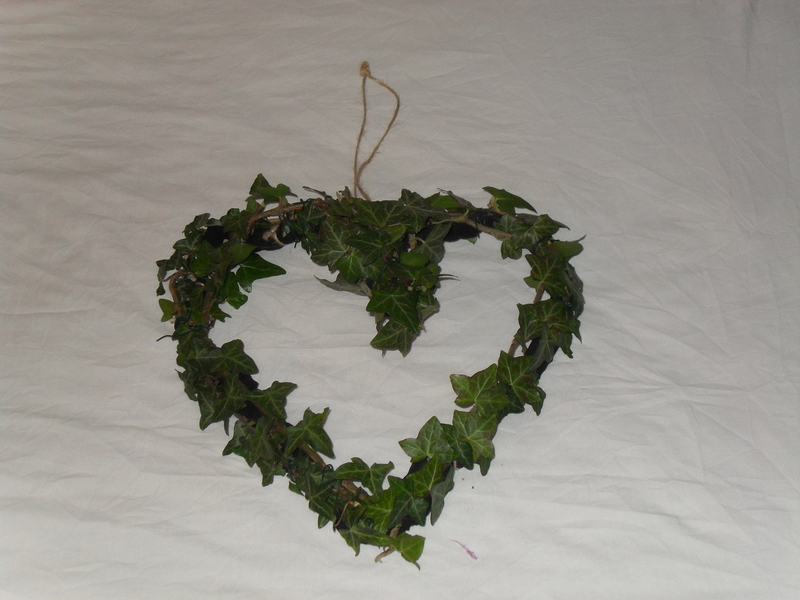 I particularly like their striking brussel sprout heart-shaped wreath priced at £25:00. 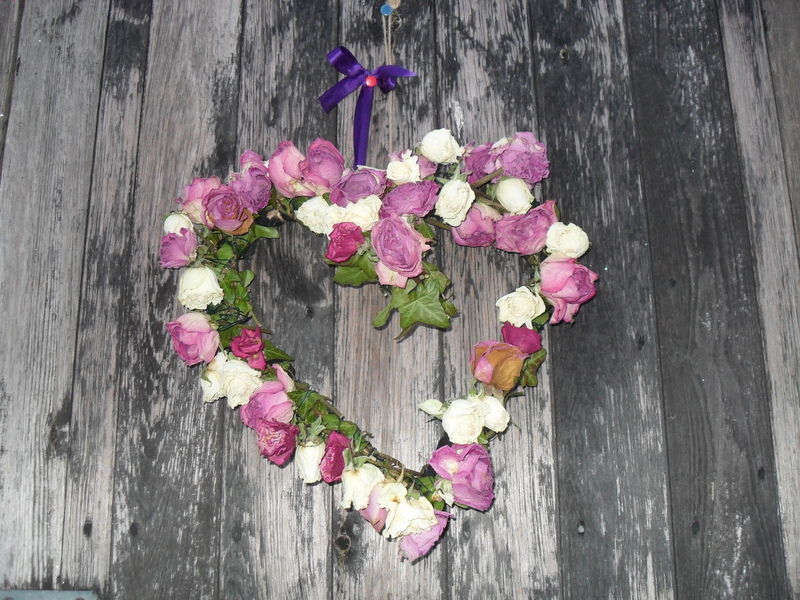 If you preferred to make your wreath using fresh flowers Discount Floral Sundries stock heart-shaped oasis at £8.50 excluding VAT. This entry was posted in Creative Projects and tagged Christmas, Clothes hanger, Conifer cone, Flower, Gardens, Heart (symbol), High Street, Home, Hot-melt adhesive, Rose, Sainsbury, Sainsburys, Shopping, Wire-frame model, Wreath. Bookmark the permalink.